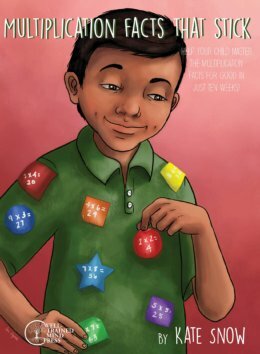 Multiplication Facts That Stick will guide you, step-by- step, as you teach your child to understand and memorize the multiplication facts, from 1 × 1 through 10 × 10. Hands-on activities, fun games your child will love, and straightforward practice pages help students remember the multiplication facts for good. 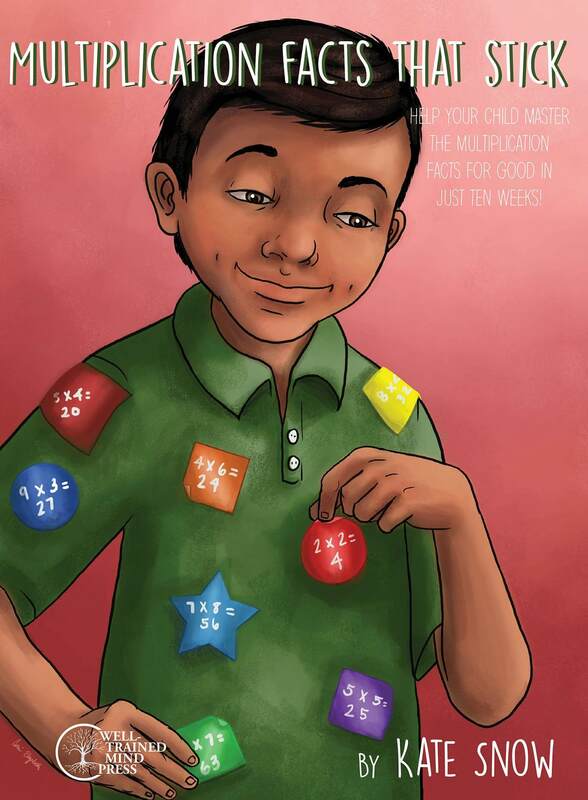 In 15 minutes per day (perfect for after school, or as a supplement to a homeschool math curriculum) any child can master the multiplication facts and develop greater confidence in math, in just ten weeks! Mastery of the math facts is the foundation for all future math learning. Lay that foundation now, and make it solid, with Multiplication Facts That Stick! Isn’t this product going to be on sale for with the other math products? Thanks for asking. No…the ones that are discounted are “Addition facts that stick,” “Subtraction Facts that Stick,” and “Preschool Math at Home.” This book, and the Division one, are brand-new today. For now, we need to charge full price for them. Would this be suitable for an advanced 6.5 year old? There would be no pressure or hurry to do it that early, but yes, if they had already mastered Addition and Subtraction, they could start on Multiplication. Is there a way to view a sample? Yes, you are correct! We found this error and have corrected it in our recent reprintings of the book. If I already own the book, and use the consumable pages, is there an option to just buy the consumable pages in a few years to use for my son? Or should I just copy them all now? The multiplication has a lot more consumable pages. 🙂 thank you! There’s not currently an option to buy just the consumable pages, so you can either copy the ones you have now, or buy the PDF version of the book and save it on your computer for when you have to print out pages for your son in a few years.